Cloudy with periods of rain. Low 42F. Winds WNW at 10 to 20 mph. Chance of rain 100%. Rainfall near a half an inch..
Cloudy with periods of rain. Low 42F. Winds WNW at 10 to 20 mph. Chance of rain 100%. Rainfall near a half an inch. Local high school seniors compete each year in the Good Citizens scholarship program hosted by the National Society of the Daughters of the American Revolution. To be chosen, students must exhibit qualities such as dependability, service, leadership and patriotism. Members from the local DAR John Wade Keyes chapter recently announced the winners for Limestone County. This year's Athens-Limestone DAR Good Citizen is Ardmore student Georgette Carolina Rodriguez-Torres. Rodriguez-Torres won the school title of DAR Good Citizen from Ardmore High School and the Athens-Limestone title. She stayed involved in the community, demonstrating each quality required by the DAR. Rodriguez-Torres took clothes to needy families in Mexico as a member of the Annunciation of the Lord Hispanic Youth Group and she visited the elderly around the community. Throughout high school, she demonstrated leadership as class president for three years and as president, vice-president and flute-section leader in the school band. Rodriguez-Torres served as president, vice-president and secretary for the Spanish Club, and she served on the Limestone County Student Senate. She was president of the First National Bank Student Advisory Board and served on the Limestone County Chamber of Commerce Youth Leadership. She was captain of the varsity soccer team, where she was a starting defender and earned all-county honorable mention and best defender awards. Rodriguez-Torres plans to go to the University of North Alabama, where she will major in psychology. She wants to go to medical school and specialize in obstetrics and gynecology. She is the daughter of Marina and Jorge Rodriguez. Anna Melinda Persell plans to attend either Mississippi State University or Auburn University to become a registered dietician. Persell served on the Student Council, as class secretary and as Miss Athens Bible School. She placed first in the Limestone County Soil and Water Conservation District Essay Contest. She won first in both the State DAR Poem and the Southeastern Division DAR Poem. She placed third in the National DAR Poem. She is a National Merit Scholarship Program commended student. She volunteered for the Athens Relay for Life Team's Swamp John's Supper, served at several ABS benefit dinners as well as Hospice Chili Challenge. She is the daughter of Stephen and Sharon Persell. Sheldon Marion Holmes served as president of the National Honor Society, vice-president of Students Again Drunk Driving, historian of the Student Council and junior varsity cheer co-captain. She was selected as Miss Athens High, a homecoming court representative, a Universal Cheerleaders Association staff member and all-American cheerleader, and “Most Kindness” in AHS Who's Who. Holmes volunteered with Athens City Schools for different projects, such as the Special Needs Christmas Party, Full Tummy Project and Special Olympics. She plans to attend the University of North Alabama and study public relations and computer science. She is the daughter of Cory and Susie Holmes. Alyssa Danielle Alexander was a member of the Spanish Club, Beta Club, Student Leadership Team and softball team. She received the Hugh O'Brien Youth Leadership Conference Leadership Award and was secretary of her 10th- and 12th-grade classes. Alexander was drum major in the Clements band for two years. Her band accolades include Most Outstanding Woodwind for four years, Miss CHS Band and Top 5 Band Award. Her community activities include the Beta Club, making donations to needy families, shopping for Christmas gifts for the needy and gathering donations for St. Jude Children's Research Hospital. She also volunteered at Santa's Village Workshop at Limestone Manor. Alexander plans to attend Calhoun Community College's child-development program. She is the daughter of Lance and Leanne Alexander. 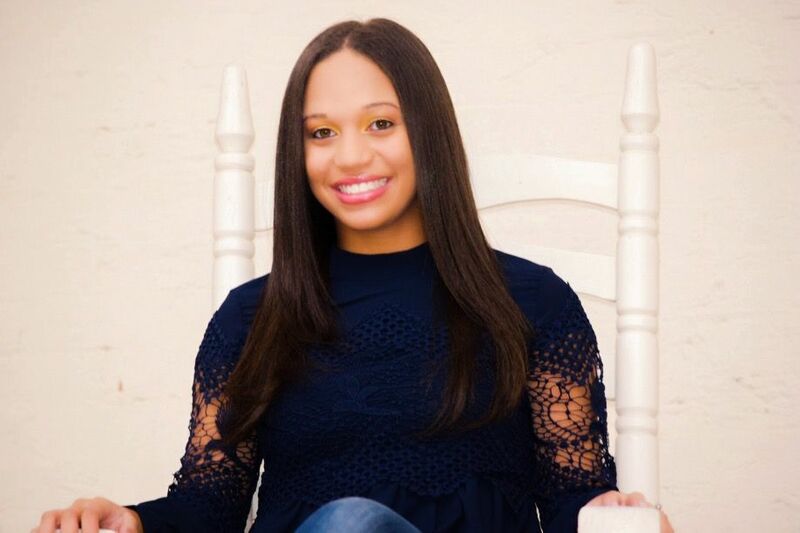 Chloe LeAnn Murphy served as her senior class treasurer, Future Farmers of America chapter secretary and treasurer, senior class homecoming representative, cheer captain and Miss Merry Christmas. She was in Alabama Girls State and Mu Alpha Theta, won the Ronald Reagan Student Leader Award, served on the Sheriff's Youth Advisory Council and the yearbook staff. Murphy was also in Family, Career and Community Leaders of America and Fellowship of Christian Athletes. She volunteered for the Piney Chapel Tractor Show, Read Across America and Loving Leah Organization. Murphy plans to attend Calhoun Community College and Athens State University, where she will study elementary education. She is the daughter of Billy and Tina Murphy. Michael Sean Renfroe served the community by helping childhood cancer victims, helping autistic children, giving blood and helping widows at his church. He was involved in school activities as an Alabama Boys State delegate and as a member of Beta Club, Spanish Club and Math Club. He played soccer and was in cross country. Renfroe received the National Academy of Future Scientists and Technologists Award of Excellence and was selected for the National Youth Leadership Forum in engineering and technology. Renfroe plans to earn advanced degrees in civil engineering. He is the son of Patrick and Kim Renfroe. Mary Norwood served as treasurer for the National Honor Society and won the Civitan Essay Contest and the University of North Alabama Chemistry Contest. She participated in the Full Tummy Project and volunteered through the Beta Club for Toys for Tots and Stuff the Bus. Norwood provided food for the Downtown Rescue Mission, sent cards for Hospice and veterans, and stuffed envelopes for United Way. Norwood plans to become an architect. She is the daughter of Bob and Brenda Norwood. Aaliyah Georgette Nichols is a member of the marching band, serving as section leader and band secretary. She served on the Student Council and as secretary for Students Against Drunk Driving. Nichols is a member of the National Honor Society. She enjoys participating in church activities, singing in the choir and helping with church programs. She worked with Special Olympics and helped organize the annual Veterans Day Program. Nichols volunteered in the community STEPS Reading Program and was selected to attend the Community October Outreach sponsored by the Limestone County Organization. Nichols plans to attend college after high school. She is the daughter of Jonathan and Tammy Nichols. Taylor Elysabeth Brewer served as vice-president of the Key Club, president of the Book Club and secretary of the History Club. She spent four years on the Scholars' Bowl team and was a member of the Beta Club. She is the daughter of Kristie Campbell.